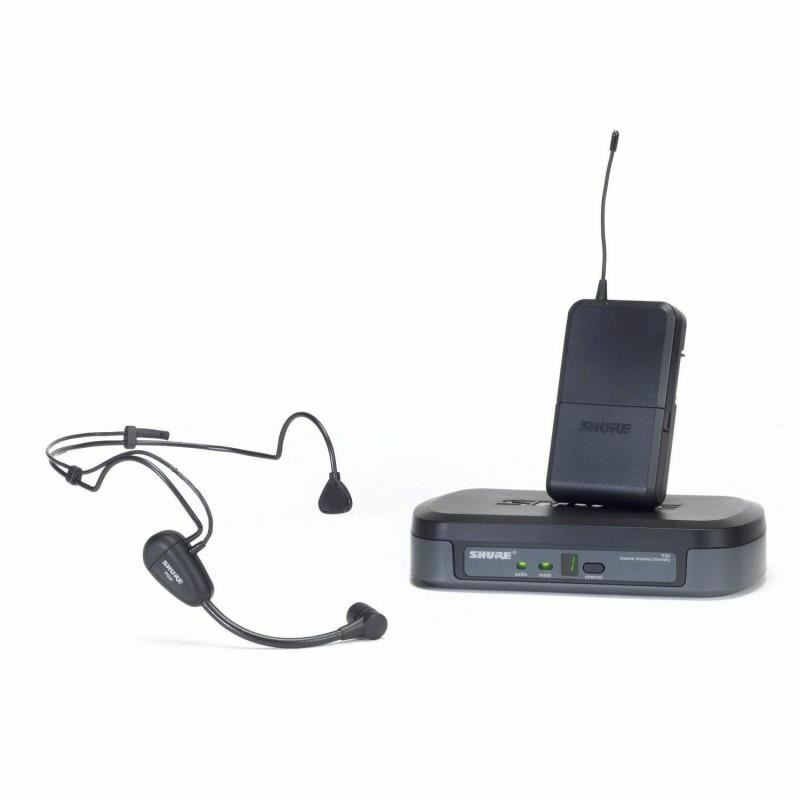 The Shure PG14/PG30 Performance Gear Wireless Headset Microphone System includes the PG4 Diversity Receiver, PG1 Bodypack Transmitter, and PG30TQG Headset Condenser for aerobic and active spoken word or singing applications. The PG4 Diversity Receiver features dual internal 1/4" antennas that eliminate potential for antenna misalignment and damage. 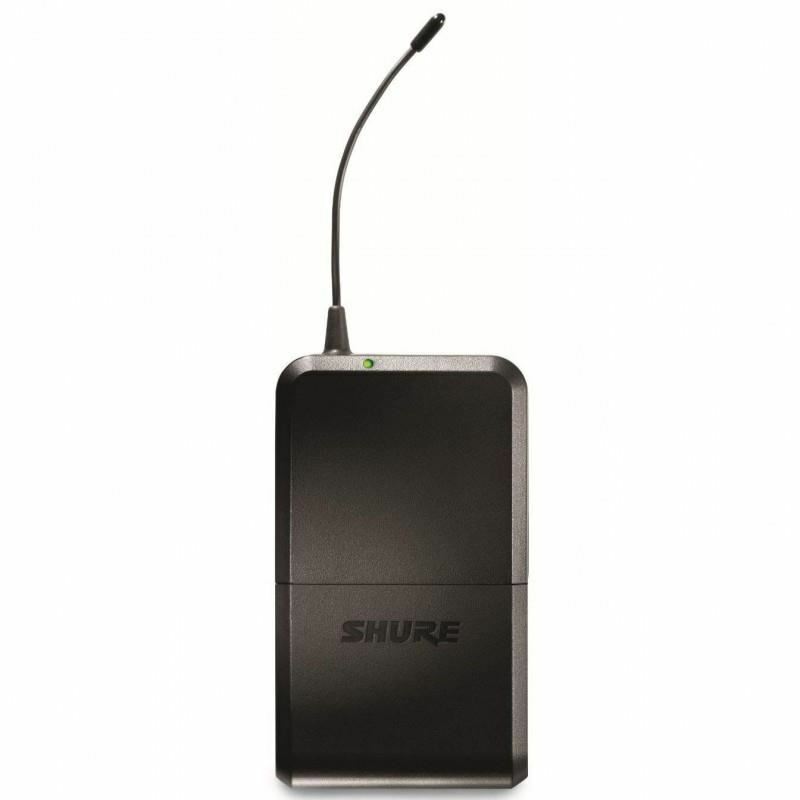 It uses a variable companding ratio based on Shure's patented Audio Reference Companding and delivers a cleaner, less noisy signal that's more true-to-life than 2:1 companding. The PG1 Bodypack Transmitter has a transmitter lockout function to prevent accidental shut down, a mute, and gain control. 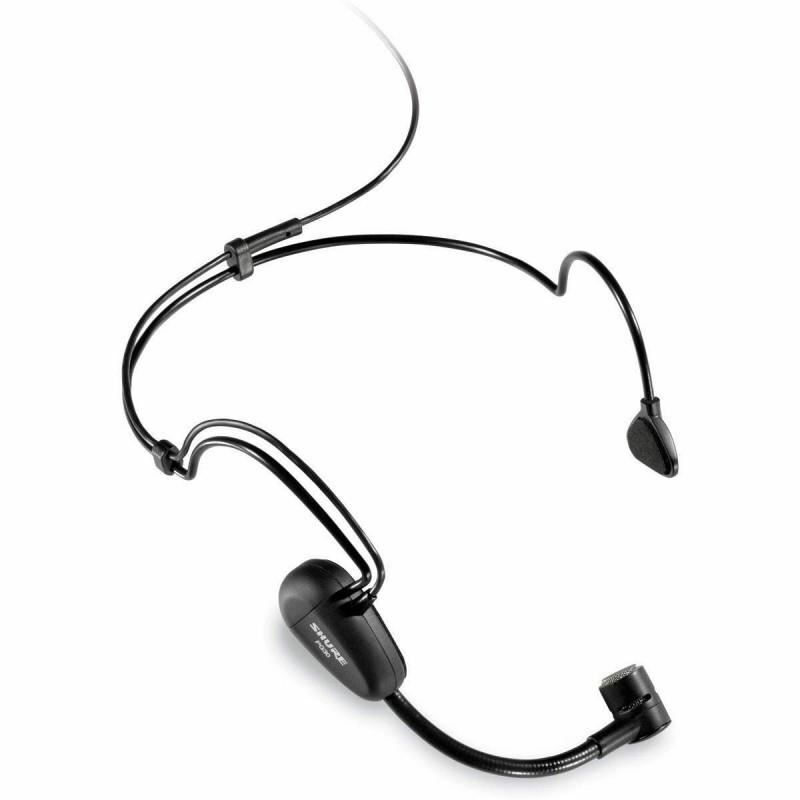 The PG30TQG Headset Condenser Mic connects easily to the PG1 and provides clear vocals for active presenters and vocalists. With the Shure Performance Gear PG Series Wireless systems you get a reliable, portable system with up to 10 selectable frequencies and frequency agility. Shure SVX14 / PGA31 Headset WirelessThis pack includes the SVX4 Diversity Receiver, and SVX1 Bodypack Transmitter with PGA31 Headset Microphone. 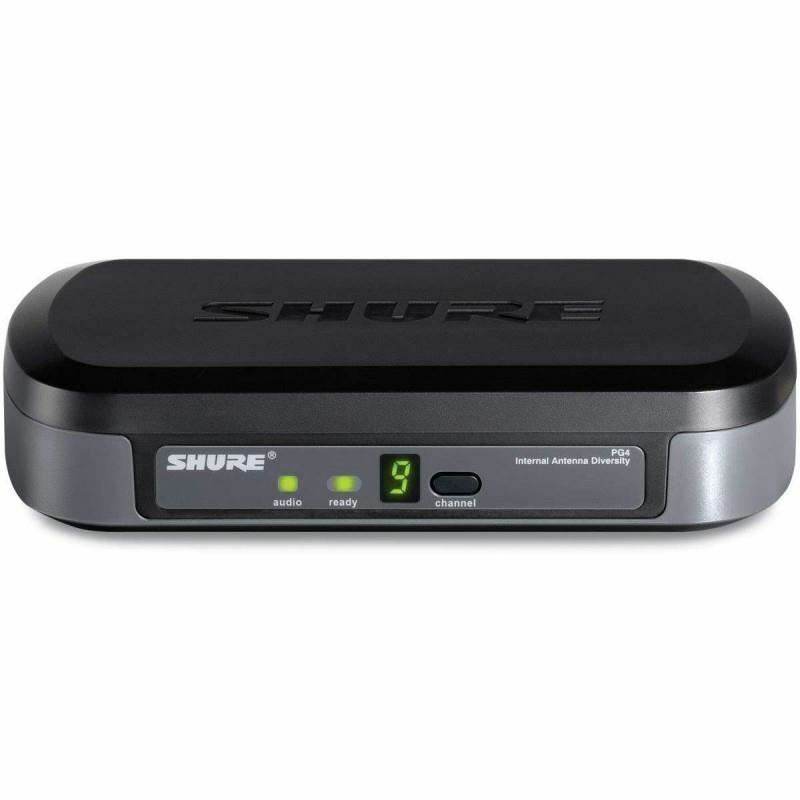 The SVX4 Diversity Receiver is a single channel receiver for use with Shure SVX Wireless systems. The SVX1 Bodypack Transmitter can be used with the S..
Shure BETA 87C Vocal MicrophoneShure Beta 87C Condenser Microphone features the same superb accuracy, detail, and rich vocal production and its uniform cardioid polar pattern effectively rejects unwanted sounds. It also offers minimal off-axis tone coloration. A low-frequency roll-off compensates fo..
Audiocore WHL-1040V (2 Mik Genggam & 2 Bodypack Clip-on Wireless)Para desainer Audiocore Instruments® memiliki satu poin kunci saat mendesain mikropon wireless Audiocore seri V ini: Value. Konsep ini membawa mereka pada penciptaan sebuah seri mik wireless yang memberikan kejernihan suara luar bi..